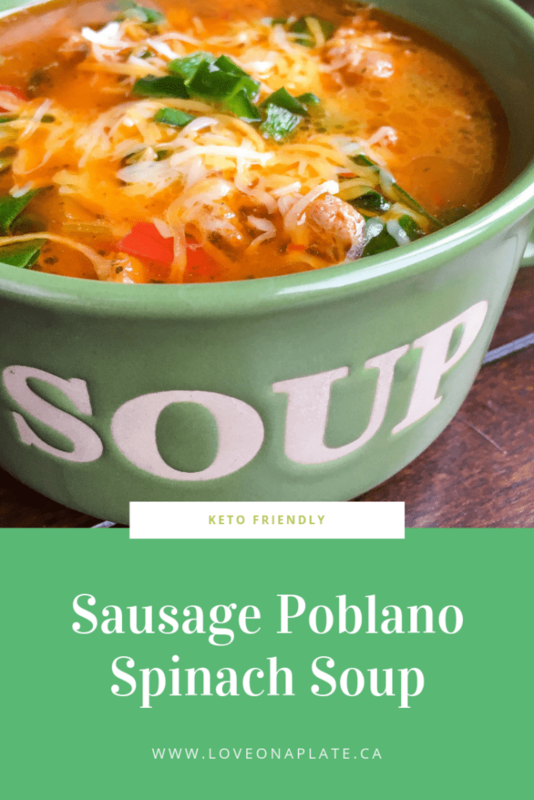 This delicious Poblano Sausage Spinach soup doesn’t need to simmer for hours to develop great flavor. 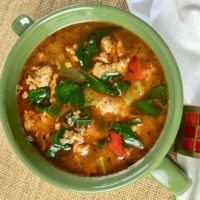 Thanks to a satisfying combination of spicy Poblano pepper, classic herbs, and a unique blend of spices, this soup delivers lots of fantastic flavor in just over half an hour. 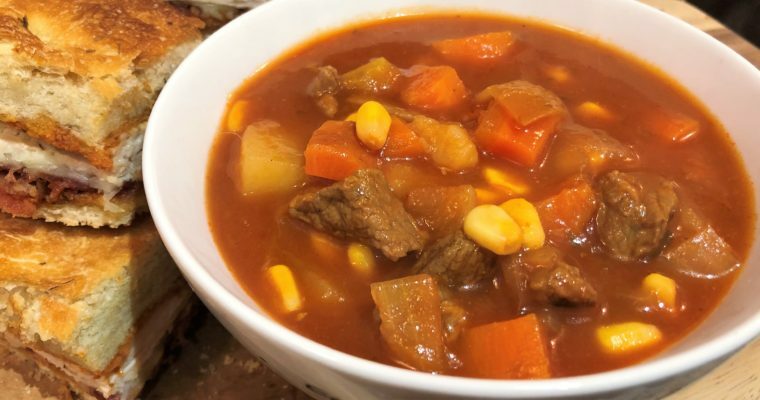 For those following a low carb or Keto diet, this recipe will fit into your meal planning routines. 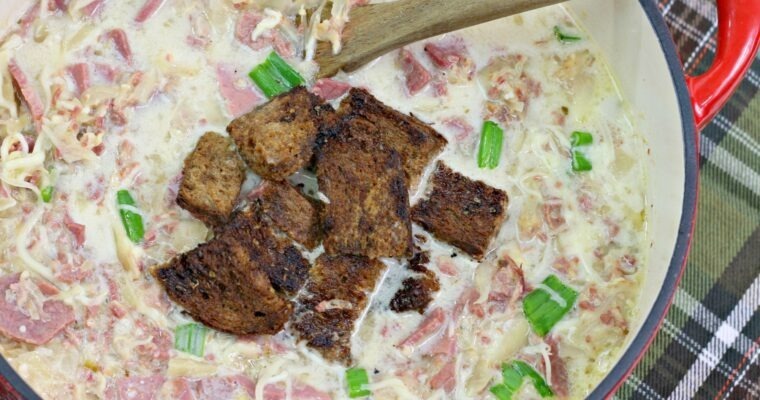 With only 3.9 carbs and 1.3 fibre, this Keto friendly recipe comes in at 2.6 net carbs. Easy to prepare, warm and satisfying, Keto friendly, you can see why I like this recipe so much.